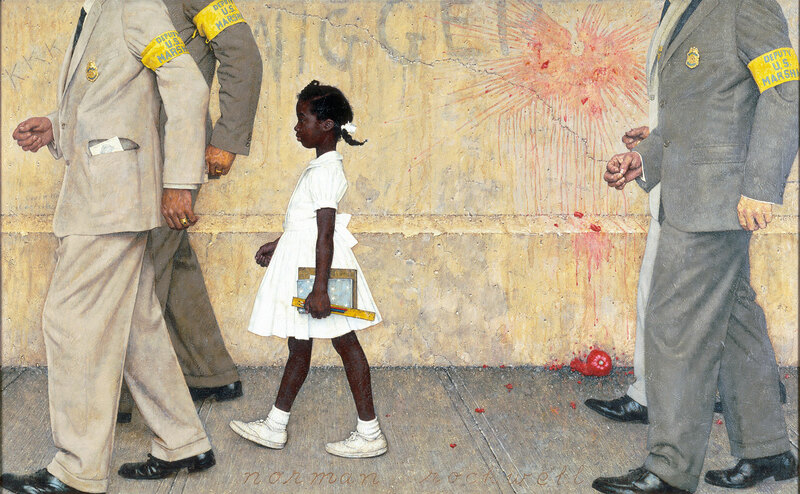 When I was growing up in Trinidad, uprooted from the United States, one of the few treasure I counted was a book of the art of Norman Rockwell. His work shows pieces of his life during his lifetime; casting everyday life into a full featured image that spoke volumes of the era. It wasn’t all pretty, either. 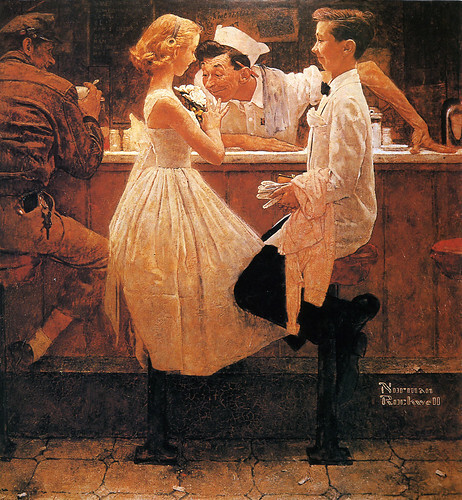 He had no trouble capturing the troubles of his time, but more often than not he portrayed the good parts of America. “Doin’ good, doin’ good. Go ahead, I’m figuring it out”. He knew I meant the food, but the side glance also told me he understood I was listening, “OK, shout when you know”. I nod agreement, thinking of the Allegory of the Cave for a split second, realizing that there was nothing to be said. I think about the difference between schooling and education, I think about how insulated the world is despite the wonders of our technology and how even our social networks cause us to be even more insulated from people who think different, who are different. And I come back to the moment, to a pizzeria in Edgewater, Florida, owned by a guy who left New York as a kid, who is a fixture of the neighborhood – more so than any Walmart. I think about my old barber in Beloit, Wisconsin, and about how such small businesses are the unspoken glue of culture in a society. Bastions of humanity and life in microcosm. I order my spaghetti and sausage. A lady walks in, she says, “I always order from you but this is my first time in here! I like it!” He thanks her.